Eligible Traps can now be placed on ramps in both Battle Royale and Save the World. The Thermal Scope Assault Rifle also makes its debut in Battle Royale, so be careful where you hide. Fight alongside a mysterious new mythic hero in the next installment of the Blockbuster quadrilogy, Blockbuster Part 3: The Cloaked Star. You never know who’s watching. 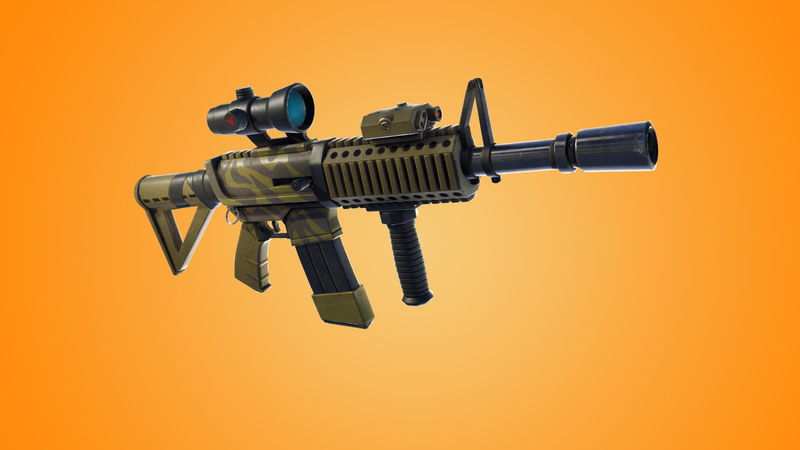 The Thermal Scope Assault Rifle is now available in Battle Royale, and it sees more than enemies. 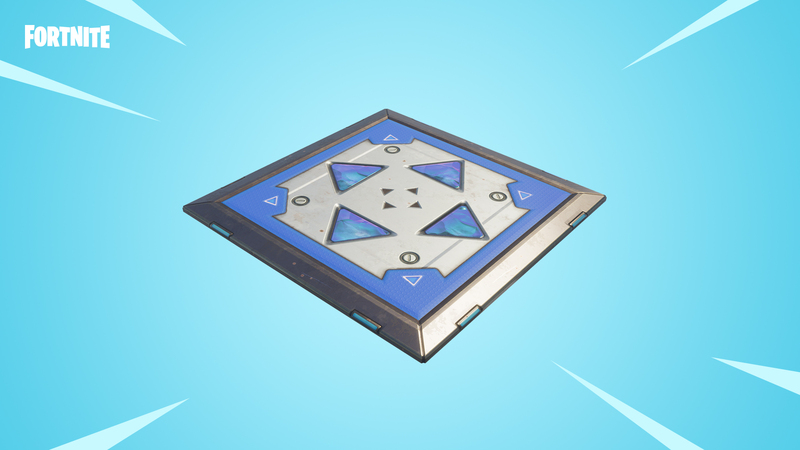 Players and Husks had better watch their steps, certain Traps can now be placed on ramps in both game modes. Stealthy and mysterious, a new Ninja joins the fight to Save the World and he gets straight to the point. Join up with this Hero in part 3 of the Blockbuster questline! Added separate sliders for ‘Mouse Sensitivity X’ and ‘Mouse Sensitivity Y’ to the options menu. Your current sensitivity settings will not be changed. Previously, vertical mouse sensitivity (Y) was always 70% of horizontal sensitivity (X). New players will now start with the same default sensitivity for both horizontal and vertical aim. Added a quick visual transition to building pieces as you move and aim in Build Mode. Damage numbers will now round down instead of up in Save the World, Battle Royale, and replays. Chat windows no longer close unexpectedly while typing on consoles. The search button will now work properly when sprinting up to chests and ammo crates. Text no longer cuts off in some languages on the confirmation message of the settings screen. Fixed Turbo Building not working if you quickly tried to build right after entering Build Mode. Renamed “Shadowplay Highlights” to “NVIDIA Highlights” in the options. This is a new method for patching Fortnite. Battle Royale will only download the files necessary to play, which allows for smaller download sizes on future updates. In this Limited Time Mode, players will do battle using snipers & scoped assault rifles. Scoped Assault Rifles have been added to floor loot & chests. The Crossbow has been removed. Ammo drop rates have returned to normal. Ammo boxes had extra ammo in v2. Epic & Legendary Sniper Rifles are no longer limited to chests & Supply Drops. Can now be found as floor loot as well. The only available weapons are Sniper Rifles and Scoped AR’s. Floor Loot spawns are reduced by 50%. Building resources received from farming reduced by 25%. Reviving “Down But Not Out” teammates in Duos & Squads is deactivated, players are immediately eliminated. Profile Stats are tracked in this mode. A new, larger Storm circle has been added to the beginning of the match. Extra supply drops fall in the new circle, giving more players a chance to find an open one. Supply drops now come in batches of 4-8 (up from 3-6), fall every two minutes, and only lands in the first two Storm circles. The damage applied over time while in the Down But Not Out state has been changed to the default of 2 damage per tick. Bonus resources earned from farming reduced from +75% to +25%. The Storm circles are now more likely to bias towards the center of the map, this helps make the bus flight path less important. Each team has a bus, approaching the island from opposite directions. On the map, the friendly bus has a blue outline, the enemy has a red outline. Due to this being a “large squad” mode, Profile Stats will not be tracked. Daily & Weekly challenges will still work, with the exception of the Squad-based challenges. Increased chances of chests spawning from 50-70% to 75-90%. Farming resources increased by 25% over the default. Supply drops spawn double ammo, an extra consumable, resource, and trap. The maximum range of most weapons increased to 275 meters from 250 meters to match the distance that players are visible. The Jetpack has been Vaulted. Crouching while scoped in Loot Lake will no longer cause your view to be underwater. You can now throw Remote Explosive while sprinting. A new soccer stadium has been added to the northern area of the map. Added new light color options to Carbide and Omega. Pickaxes are no longer missing from the quick bar for players who join the match late. Currently equipped traps no longer change to a different trap unexpectedly when trying to place one into an empty space. Players will no longer crash when viewing friends leaderboard. Improved network simulation of soccer and basketballs when kicked by other players. Fixed an issue causing Shopping Carts from flipping over when hitting a Supply Drop. Client and server optimizations for Shopping Carts. Fixed a hitch on mobile when landing. Rendering CPU optimizations for all platforms. Fixed an issue where antivirus software was causing hitches on PC. The following adjustments have been made to footstep audio. Increased the volume of enemy footsteps by 25%. Changed volume falloff of footsteps from Logarithmic to Linear. Increased range of footsteps by one building tile. Added more detail to the Battle Bus audio. Lowered the volume of Hop Rocks activation, deactivation, and in-use sounds. Made the teleport rez-in sound when returning to the lobby more subtle. Improved soccer and basketball audio by adding rolling and bouncing sounds. Fixed cases where certain sounds wouldn’t play in highly populated areas like Tilted Towers or the pre-game island. Added in a new style for the options screen. Replays from the E3 Fortnite Pro-Am are now available to view inside the client. HP bars no longer only show 1 HP if you switch between teammates while spectating. Interact prompts no longer display on chests for Shopping Cart passengers. The following emotes have had facial animations added to them. Updated the Battle Bus visuals and animations. Battle Bus now has animating parts and flashing party lights when flying. All battle bus models in the world have higher resolution. Animations will now play properly when exiting the Shopping Cart while simultaneously switching seats. Opening effects will now properly play after searching Supply Drops. “Wavey” effects now properly appear on Willow trees. Fixed an issue where sprays where not displaying correctly on some objects. Fixed an issue where markers on the replay timeline would not be cleared when changing player. Shopping Carts replicate more accurately while scrubbing through replays. Players will no longer experience a short hitch when landing from the Battle Bus. Player Reporting is now available. Access through the ‘Report Player’ button in the drop-down menu. You can select player and type of behavior you would like to report for and send it our way! Anti-cheat system has been implemented into Save the World. Due to the implementation of the Intelligent Delivery feature for Xbox One consoles, all Save the World players will be prompted to download the Save the World-specific patch content upon first entry into the game. This is a one-time process and Save the World content will be managed automatically afterward. Blockbuster Part 3: The Cloaked Star is now available. Increased drop rate of Sheets of Metal for the quest “Blocked!”. Increased the number of Drops of Rain that appear in Mini Llamas. The chance to get double Hero/Schematic/Survivor XP from a mission reward now gradually increases from the beginning of Canny Valley to the end of Twine Peaks, ending 50% higher than the initial values. Removed Rotating Gizmos from Canny Valley and Twine Peaks mission rewards. Reduced the chances for ingredients to be selected as mission rewards in Canny Valley and Twine Peaks to account for the removal of Rotating Gizmos. Fixed an issue allowing quest items to spawn inside the buildings during the Deliver the Bomb mission. Blockbuster: Part 2 quests now mention zone types where they can be completed. 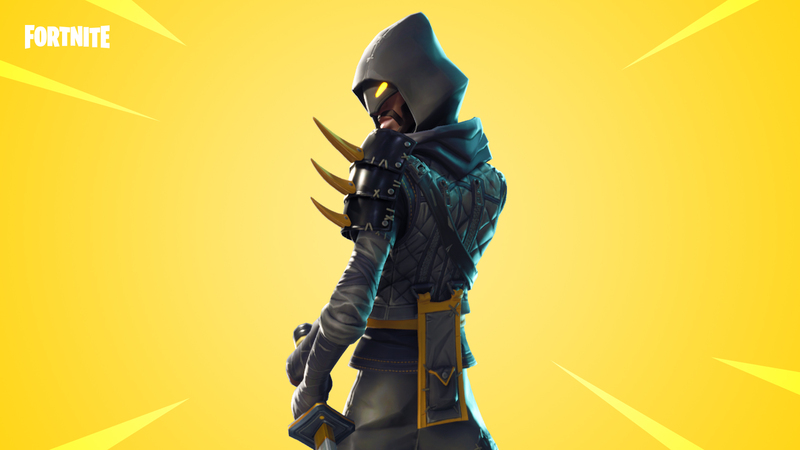 New Mythic Ninja: The Cloaked Star, has been added to the Blockbuster questline. New Subclass: The Cloaked Star – Masterful shinobi who unleashes waves of Throwing Stars from the shadows. New Tactical Perk: Fan of Stars – All throwing stars are thrown instantly in a spreading arc. Anti-Material Charge no longer causes the player to be unable to move if the ability is interrupted. Changing weapons while activating Lefty and Righty no longer causes Lefty and Righty to not equip. Using Bull Rush with China Shop will now deal damage to structures directly in front of the Constructor on activation. In a Pinch now works on weapons that consume more than 1 ammo per shot if the weapon’s ammo is less than the required per shot. A slow firing anti-material rifle with high base damage and a heavy kick. Its shots pierce through walls and Husks alike, and can quickly obliterate structures. Available on the weekly store from Wednesday, June 13 at 8 pm ET through Wednesday, June 20 at 8 pm ET. Added perk choices to items that previously had static perk loadouts. Eligible items will always start with their default set of perks. These perks can now be modified with the Perk Recombobulator. Some weapons which previously started with a fixed element unlocked at level 1 will now unlock that slot at level 5, but have multiple element choices available. Added a new weapon perk: +x% Impact. It will appear on several of the previously static weapons. Resources can now be gathered when using heavy melee attacks on the world. Increased the durability consumption rate of melee weapons per attack to compensate for increased damage. Planks and Rough Ore costs are now +1-5 more depending on quality and material type. Twine, Mineral Powder and Mechanical Parts costs are now +6 more. Melee Energy weapons battery costs are now +7-10 depending on quality and material type. Ranged Energy weapons costs are now +4-5 depending on quality and material type. The Movement Speed perk now applies to sprint speed as well as walk and run speeds. Damage vs Slowed/Snared perk will now roll for all eligible weapons. The Damage Resistance perk now grants the proper amount of damage resistance. Cozy Campfire now heals any friendly target within range, even if they are behind a wall. Tier pips no longer display on the Blazing Masamune’s unique perk, this perk cannot be upgraded. Tiger Assault Rifle projectiles are no longer blocked by nearby walls. Defenders can no longer be teleported. This is to prevent them from entering a buggy state. Teleportation pads now activate when first dropped. Supply Drops can no longer be damaged by a Lobber projectile or any other AOE damage. Fixed collision issue with Lars’s Van on Ride the Lightning mission. Fixed an issue with DBNO screen remaining up after a player is revived. Resource counts on the HUD no longer use the shortened numeric format. The Airstrike icon is no longer missing in the tutorial mission. The Match Results chest animation no longer stalls. Missing building preview action indicators have been fixed. Fixed console controller navigation on lists in menus. The description text for Voice Chat volume now reflects that feature is available on PC. Made description text line wrap on the quest map side panel and also added objectives to the event quest map side panel. Images in the help screen no longer appear stretched. Fixed an issue where the badges and continue button were not being displayed on the results screen with the reward chest. Updated the color of the Nature Bolts on Nature Husks. Helps to differentiate Nature Husks from Nature Mini-Bosses. Elemental weapon effects now appear correctly. Bonus Success stinger updated to reduce high frequency and create more pleasing tone. Cinematics now play at the proper volume. Deliver the Bomb track placement volume attenuation fixed.